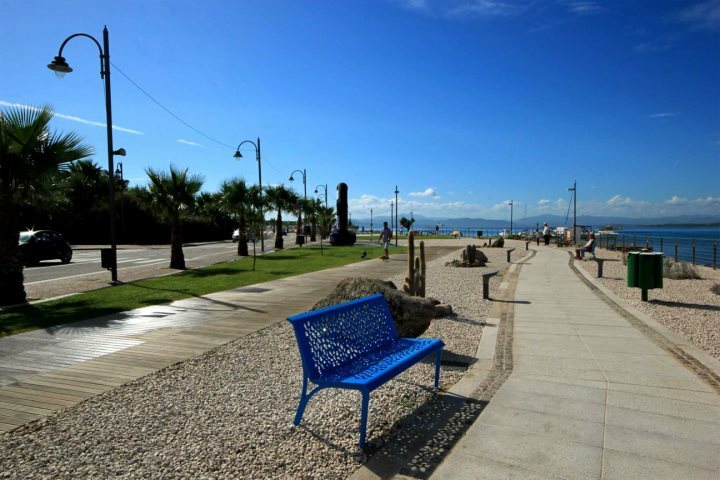 In 2014 I visited the lovely town of Golfo Aranci for the first time and particularly enjoyed photographing the new promenade and the beautiful bay. 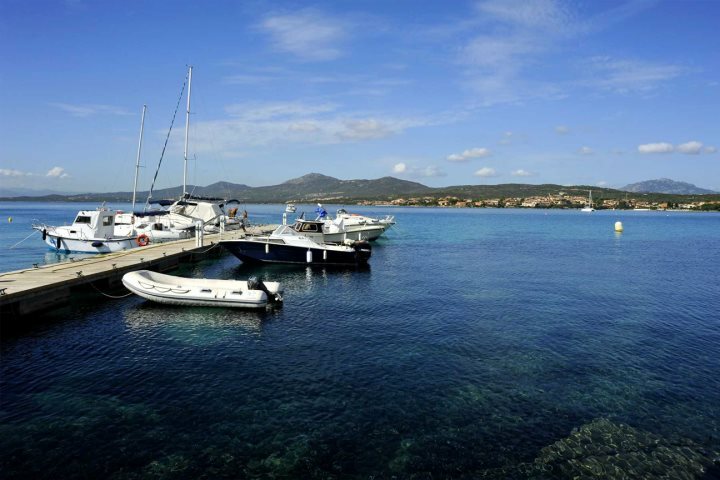 Golfo Aranci, whose name translates as the Bay of Oranges, is a small town in the Gallura region of north-east Sardinia, about 15 km from Olbia, with a port that connects it with mainland Italy throughout the year. The municipality has just over 2,000 residents, but in the summer many tourists and the owners of holiday homes swell these numbers. 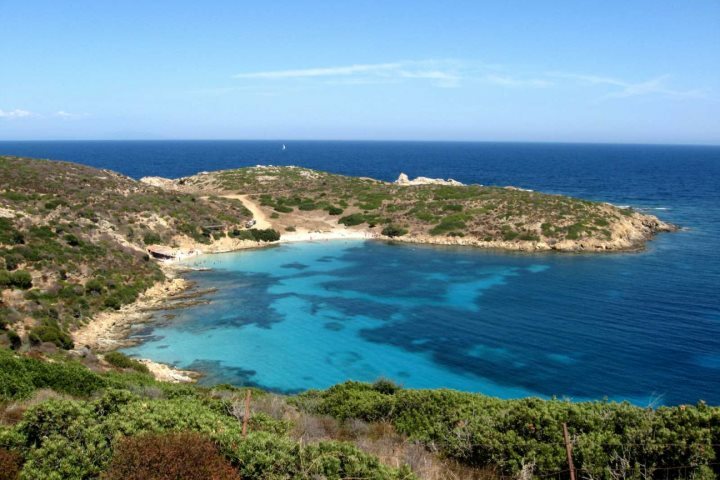 In Gallura the main economy revolves around tourism and also fishing. 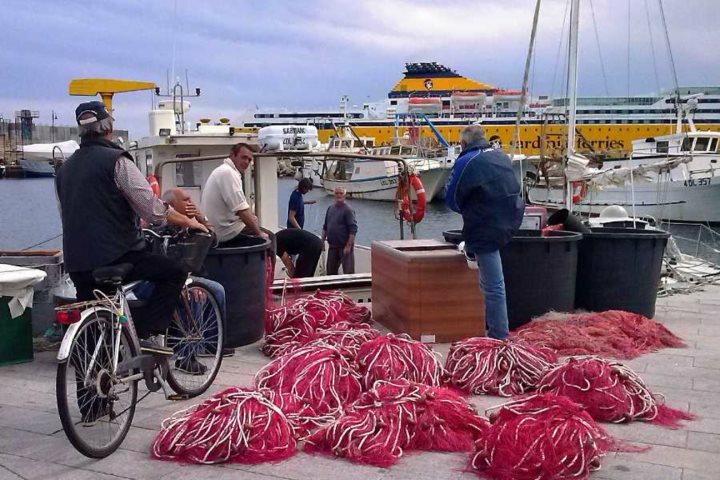 Over the last century the fishing industry developed supplying many Italian regions, in particular, the island of Ponza. 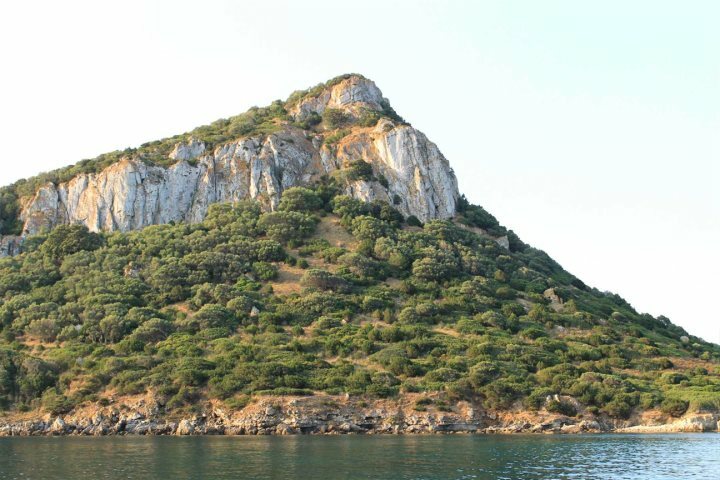 To this day, fish from Golfo Aranci is renowned and there are numerous Sardinian bream farms between Cala Moresca on the mainland and the island of Figarolo just off the Golfo Aranci coast. In the tourist center of the town you’ll find many good restaurants where you can eat fresh fish that have been bought directly from the fishermen at the port. 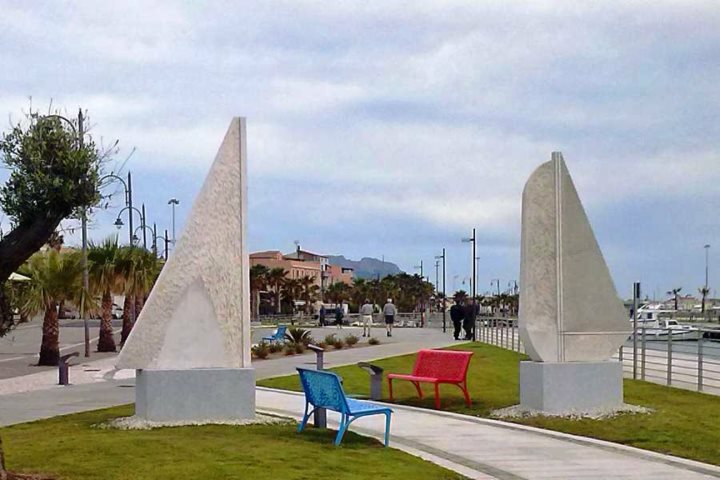 The waterfront of the town has been renovated with a promenade, colourful benches and works by Pinuccio Sciola, a famous artist known for creating musical sculptures in stone that, at the touch of the hand, produce sound. At this time of the year you’ll also be able to see the sea siren, a bronze sculpture that rises up out of the water but in summer she disappears beneath the waves only re-emerging twice a day, singing a famous Sardinian song! In the bay, divers and snorkelers, as well as the occasional dolphin, can also discover an underwater museum, which, like the siren is thanks to Golfo Aranci’s innovative mayor. There are many beautiful beaches in the area including Cala Sabina, to the north-west of the town, which was once accessible only by train or by sea, however, there is now a winding road that leads here. Another particularly lovely beach is Bianca Spiaggia, or The White Beach, named after the colour of the sand. A third beach, Cala Moresca, is part of a protected area and can only be reached by foot via a path running parallel to the railway line. Cala Moresca, though well-known, is in a well hidden location where it is sheltered from the wind and its beautiful waters are many shades of green. Though lovely, the beach is very small, and shadow from the promontory of Capo Figari, puts it into the shade quite early in the afternoon. About 1 km further along the coast from Cala Moresca via a gravel footpath, you will reach the Cemetery of the British. 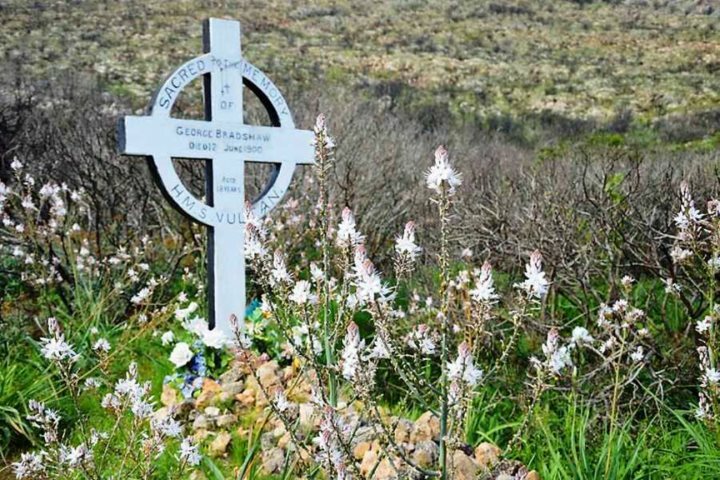 Its name is misleading as, in fact, among the 13 bodies buried here, there is only one Englishman, an 18 year-old sailor who died of malaria. The other 12 tombs belong to the Italian crew of a ship wrecked in the waters off Golfo Aranci. The cemetery is very striking, even more so since a fire last summer burnt a large area of ​​Capo Figari, blackening the trees in stark contrast to the awakening nature. 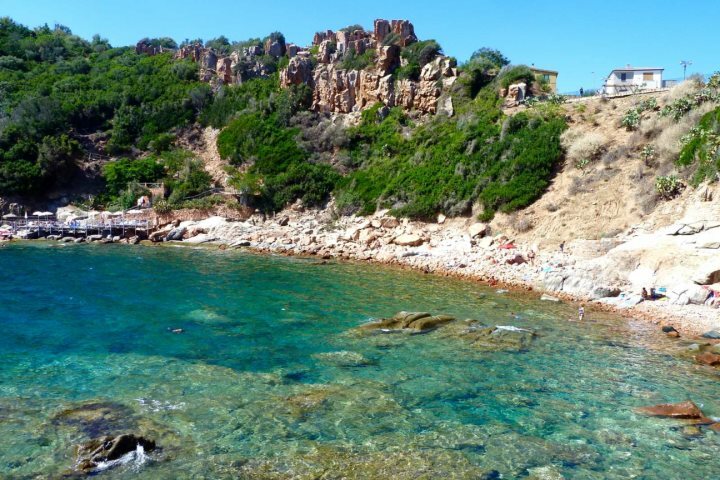 For the more adventurous, the walk continues until you reach the observatory of Capo Figari where Guglielmo Marconi in 1932, famously carried microwave radio experiments between the cape and Rocca di Papa in Rome. From the top you can see a unique view of the bay and the coastline, including Figarolo, Tavolara and Olbia. And now, all you have to do is choose whether to grab your snorkel or don your hiking boots!